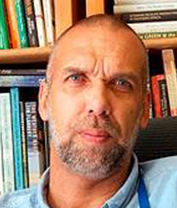 Lance van Sittert is an environmental historian based in the Department of Historical Studies and has published widely on South African environmental history including on the historical spread of conservation, wire fencing, artesian water boring and predator extermination in the South African countryside. He has also written extensively on marine environmental history including the origins of marine science and fisheries management and post-apartheid reform in the fisheries. He is interested in the invention and imagination of ‘the environment’ as an arena of state and civil society formation and action. He explores the development, operationalisation and contestation of specialist bodies of ‘environmental’ knowledge and how these operate as mechanisms of social engineering and dispossession in the past and present. He is currently pursuing these lines of enquiry through histories of ‘environment’s’ excluded others; vermin, weeds, alien invasives, pathogens, poachers, etc.